Founded in 1997, SYSTEX Corporation is a leading Taiwan-based IT services provider, with over 3,000 employees across Asia Pacific and 55 branch offices in Taiwan, China, Hong Kong and Southeast Asia. In 2014, SYSTEX’s consolidated revenue reached US$530 million. SYSTEX provides professional IT services to over 20,000 enterprise and government clients. The company also has a strong distribution network with over 1,500 channel partners. Known for its solid domain knowledge, the company offers more than 60 world-class hardware and software products. When SYSTEX adopted Tableau in December 2014, the team organized workshops to help employees get started with the tool. Tableau has allowed the language of analysis to become consistent across the company, making communication more coordinated, cutting back the time spent on convoluted communications across departments. Tableau has also enabled departments to communicate with one another rather than relying solely on IT department. SYSTEX Corporation houses several business institutes— for instance, the Financial Business Institute (FBI), the Eco-system Business Institute (EBI), Consumer Business Institute (CBI), and the Value-added Business Institute (VBI)—each with a focus on a unique business area. These institutes are designed to facilitate business practices and functions within their area of focus, streamlining operations across the company. 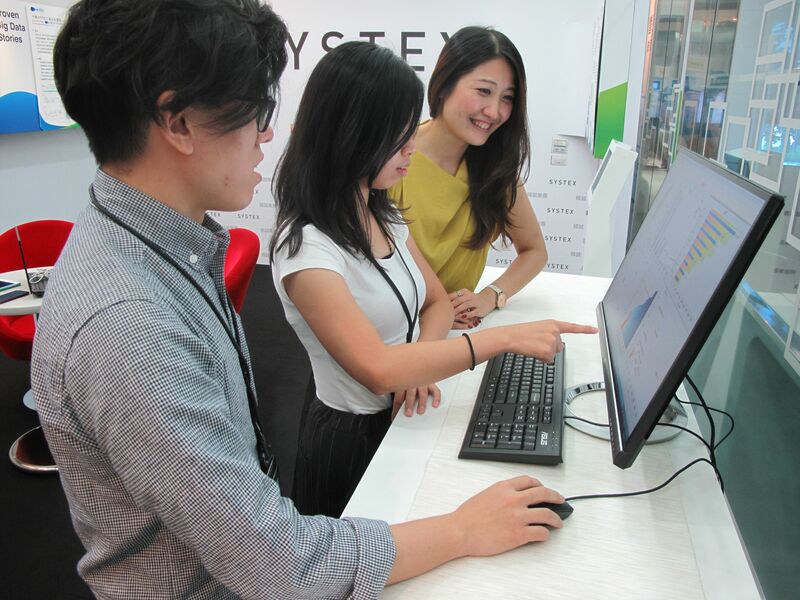 SYSTEX Sales Director Vincent Chang oversees particular VBI product lines as well as the procurement and application of analytics software and tools. He and his team of seven were actively seeking a data analytics tool that could connect different data sources and standardize reporting. This effort was supported by SYSTEX President Frank Lin, who believes in returning data to the people who have produced it. He feels that data collected or generated in the field will prove useful to those working in it. “In a nutshell, the company leadership wants everyone in the company to be able to work with data like a data scientist,” Chang said. Unfortunately, this attempt was challenging—in part due to disparate systems of data collection and analysis that did not ’talk’ to each other. SYSTEX’s employees were using many different types of data analytics software and business intelligence systems based on work function and operational requirements. For instance, simple spreadsheets were used for budgeting and a complex ERP system was used for various internal operational requirements. SYSTEX became a Tableau re-seller in late 2014. As employees learned to use the drag-and-drop visual analytics software, interest in using Tableau grew internally. Chang’s team took two months to thoroughly research and evaluate Tableau before deciding that it would be beneficial for the company. The team then held knowledge sessions with Lin to impress upon him that Tableau would make a useful business intelligence (BI) tool for everyone—not just the IT department. SYSTEX’s management decided to adopt Tableau across the company as the standard reporting BI tool in December 2014. 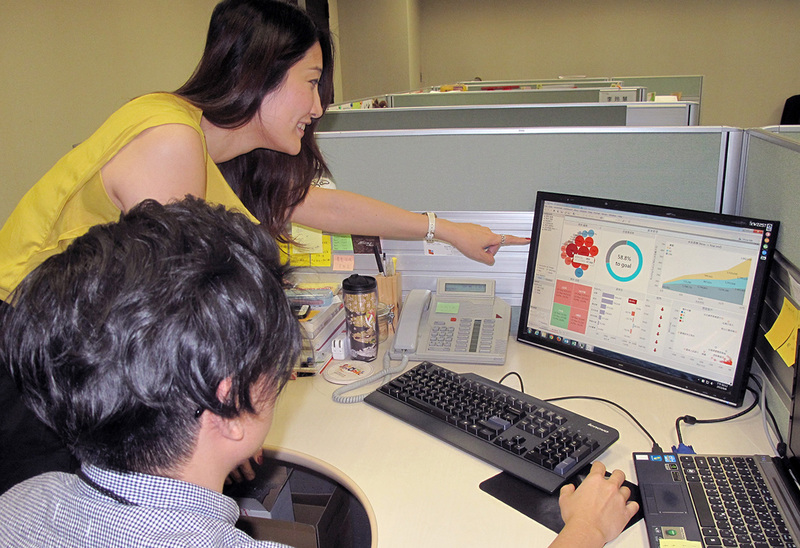 Chang and his team organized workshops to help employees from human resources, finance, operations and other departments familiarize with Tableau through hands-on sessions. This approach brought the SYSTEX team to get up to speed on the software swiftly. Feedback from the participants have been really encouraging, according to Chang. “Despite SYSTEX having a team of more than 400 information technology workers and engineers with multiple specialization qualifications, the company’s management still recognized the need to equip everyone with analytics skills at their fingertips,” said Chang. Currently, there are more than 40 Tableau Desktop licenses at SYSTEX. Many others are consuming Tableau content, and users come from all departments, including finance, sales, operations, human resources, as well as subsidiary companies. Chang and his team are among the heaviest of users, and Lin remains an avid supporter. Chang commented that almost everyone in the company is using Tableau in some capacity now. The impact that Tableau has on the company has been encouraging. According to staff feedback, time taken to generate reports have been reduced tremendously from one to two weeks previously to three to four hours currently. Tableau’s interactive dashboards are ‘groundbreaking’ for many users as well, as they find themselves benefitting from self-service data analysis. Using the dashboards, users are able to find answers to their own questions in real time playing with the data visualizations. Tableau has also allowed SYSTEX staff to communicate better with one another across business units and departments rather than relying solely on IT department. “One very clear benefit was that the language of analysis has become consistent across the company. This allows for communication to be more coordinated, cutting back the time spent on convoluted communications across departments,” said Chang. Finally, Tableau has also contributed to better efficiency for the SYSTEX teams in various job functions. “Tableau allows employees to save time on analysis when they generate reports. Our president, however, wants to inspire everyone to leverage Tableau to uncover deeper insights from the data, and not just bank on it to save time. He would like us not to just think of Tableau as a BI tool that can do what no other tools have done, but to really make use of it to discover insights and learnings, and to generate unique and actionable observations,” Chang concluded. Now that SYSTEX has Tableau, they have improved communication and efficiency.